Croissant is a prototype app, presented this past weekend at the TechCrunch Disrupt NY Hackathon, that claims it could solve this problem. The app utilizes Apple’s new iBeacon technology. These small devices can sense when your phone is within their proximity and react accordingly. For coffeehouses, installing iBeacons at seats around the shop could allow the business to track who is sitting where and for how long. Users could reserve certain locations, and the app could run a meter while you’re in its range. As soon as you leave, Croissant could automatically pay for you via your credit card. And since the app knows where you are, patrons could even use it to order food or drinks and have them served directly to their seats. 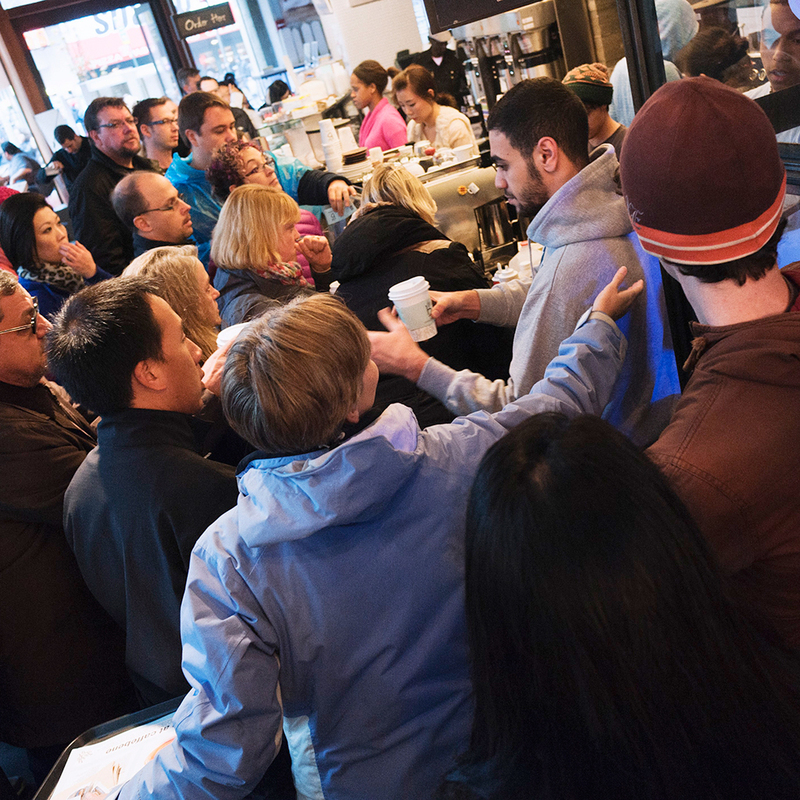 Coffee shops often have problems monetizing their space, sometimes resorting to tactics like only giving out Wi-Fi passwords after a customer makes a purchase or offering limited numbers of minutes. Though a system like Croissant might make your coffee stop a bit more expensive, it could also work wonders at eliminating the problem of serial seat hogs in popular places. According to TechCrunch, “Croissant’s creators say they’re not sure they’ll work on their hack more after this hackathon wraps, but they’re not discounting the possibility.” Dave Idell, one of the members of the Croissant team, said: “We’ll have to let it sink in more." Even if the Crossaint app never hits your iPhone, the prototype does provide an interesting glimpse into how iBeacons could change the way businesses track our location. Let’s just hope they don’t start installing iBeacons in bars; I don’t need my wife knowing that I was in the same barstool for the past six hours.